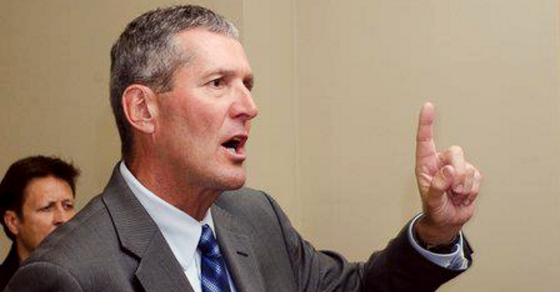 Manitoba PC leader Brian Pallister might as well be the very definition of a gaffe. Manitoba’s Liberals are feeling pretty blue. That’s pretty bad, but it could be worse. Pallister was, of course, slammed for being “disrespectful” and “derogatory” towards women. 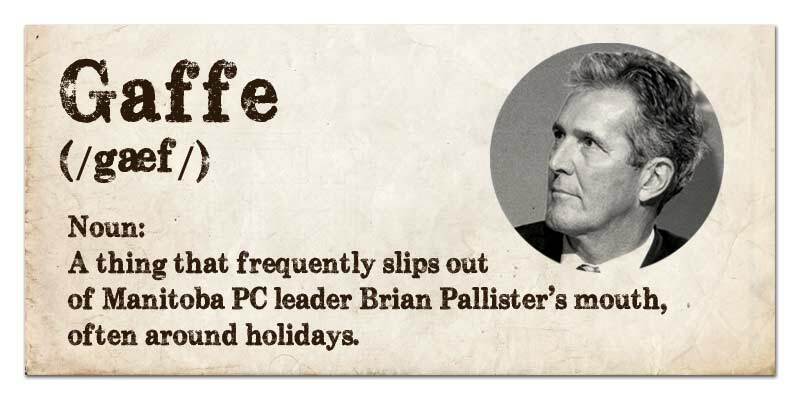 And then there are the gaffes that fumble out of Pallister’s mouth when he gets into the holiday spirit. “I, myself, celebrate the birth of Christ, but it’s your choice,” Pallister thankfully clarified. And then in 2014, Pallister informed the Manitoba Legislature that he hates Halloween. And when he was a Canadian Alliance MP, Pallister recited a raunchy poem back in 2004 in the House of Commons. Although he was attempting to make some kind of point about the Liberal government’s immigration scandal, Pallister suggested foreign doctors and nurses could “improve your chances by stripping first” or another line about how “your chances expand if you do the full monty” has some pretty cringe-inducing subtext. 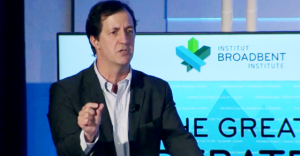 Coyne says Canada's current first-past-the post system "violates some pretty fundamental principles of democracy." Andrew Coyne thinks Canada’s electoral system is broken.